Shadow of the Tomb Raider was released on PC, PS4 and Xbox One 219d ago in the US and the UK. 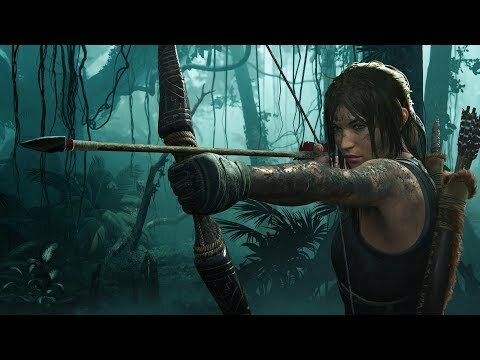 Notify me when Shadow of the Tomb Raider is available. Based on 55 Shadow of the Tomb Raider reviews, Shadow of the Tomb Raider gets an average review score of 80. Shadow of the Tomb Raider ends the reboot trilogy on a high note. Shadow of the Tomb Raider is a great example of how to do a sequel with an amazing story, great protagonist and gameplay mechanics that just work! It’s only September but Shadow of the Tomb Raider is already my game of the year - and that’s a fact. Shadow of the Tomb Raider is the best game in this trilogy and was well worth the wait. Gameplay focuses on exploration and discovery through the expansive South American rain forests making for a stunning adventure. Despite some minor issues with the otherwise solid story, this is Lara’s most defining adventure yet. If Shadow of the Tomb Raider is the last installment in the line of Tomb Raider reboots, I’d be fairly happy where the story leaves off. Shadow of the Tomb Raider may not innovate the Tomb Raider formula, but you know how the saying goes—if ain’t broke, don’t fix it. Exciting from the title screen to the closing credits, Shadow of the Tomb Raider is a tremendous thrill ride. Fans of the rebooted Tomb Raider series are sure to be pleased, and if you’re someone who has yet to get into the franchise, maybe now is the time to do so. It was a fun and visually stunning game from beginning to end. Shadow of the Tomb Raider offers up a powerful finale to Lara Croft's origin trilogy. Visually spectacular from beginning to end, the jungle backdrop and Mayan apocalypse setting serve as the perfect stage for a conclusion to an excellent trilogy. This Lara Croft memoir ends in a good way, and I’ll miss this version of Lara more than any of them. Shadow of the Tomb Raider succeeds in giving Lara the character growth she needed and also brings the reboot trilogy to a satisfying closure. A reassuringly solid trilogy third act, Shadow of the Tomb Raider will certainly prove familiar. A solid follow up that proves there’s life in the franchise and its heroine. If you’re fan of the previous Tomb Raider entries or looking to jump in for the first time, Shadow of the Tomb Raider is Lara’s finest adventure yet. Shadow of the Tomb Raider is a perfect example of a modern AAA video game. If you’ve enjoyed the first two Tomb Raiders there is even more to like in Shadow. Shadow of the Tomb Raider is a sequel that does a lot well, although its biggest detriment is how safely the developers seemed to play it. Shadow of the Tomb Raider is Lara’s most dangerous journey yet, but also her best. Were it not for a lack of polish, Shadow of the Tomb Raider would stand right alongside the other action-adventure giants in truly defining the genre. It’s only a small step forward from the last game but this is the most successful attempt so far to modernise Tomb Raider, even if the storytelling still has problems. This freedom in combat and crafting systems coupled with overall accessibility should set a new standard for big-budget action games. It’s just at its best when it crawls out of that shadow and ventures into uncharted territory. Few games manage to pipe so many jaw-dropping sights into your eyeballs and even fewer deliver such complex, enjoyable puzzles and traversal challenges. Shadow of the Tomb Raider is a bit like an enormous box of Celebrations. Shadow of the Tomb Raider is still absolutely worth playing, and it’s an easy recommendation. The final and strongest entry in the rebooted trilogy, this adventure sticks to Lara's strengths while embracing its dark side. The stealth mechanics and fun world traversal in Shadow of the Tomb Raider make it a great game. So, while Shadow of the Tomb Raider’s story lacks some of the meaning and impact that it sets out to, this is another action packed romp for fans of the series. A few missing puzzle pieces leave a good experience in the place of greatness. Shadow of the Tomb Raider is a perfectly good game, but it feels as though it never figures out a way to address the most compelling aspect of this arc: Lara's personal growth. While I find this to be Lara’s weakest adventure of the bunch, I’m still excited to see what lies in store next time around for one of gaming’s most prominent characters. The game has its standout moments, but it’s also full of unrealized potential. Culturally tone-deaf themes and few innovations hamper a genuinely fun experience. In regard to its gameplay, there's no doubt that Crystal Dynamics has perfected the kind of game that Tomb Raider should be in the 21st century. Despite a new developer at its helm, Shadow of the Tomb Raider ends up feeling like more of the same. What should be a victory lap, a stunning denouement that sets up an older and wiser Lara Croft, instead feels like the least vital entry in the trilogy. Shadow of the Tomb Raider is a strange and vaguely disappointing game, but not a bad one. A severe disappointment in a series that was previously going strong, and a sign that this version of Lara Croft might need to retire. Rumour: Shadow Of The Tomb Raider Art Leaks Confirm Maya / Aztec Setting?